It’s 70 years since Enid Blyton’s Famous Five made their debut in Five on a Treasure Island. I remember reading those novels voraciously as a youngster, determined that when I was exploring castles, such as Raglan and Bodiam, I would also find gold and be an adventurer. It wasn’t all harmony, though, probably as they were all family, and Anne and George certainly didn’t hit it off. For my part, as a kid I always thought George was a pretty cool kinda girl. There was no messing about with her. Or rather there was a lot of messing about – in trees, clambering rocks and generally getting into scrapes. Anne always seemed a little bit precious and not like any of the girls I hung around with. We were all in it together, grazing knees, throwing apples at each other and having stick wars. 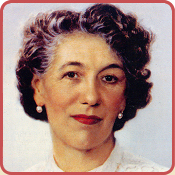 Anyway, I maintain that Enid Blyton is the reason for my love of reading, my love of a good story and a continuing childish sense of adventure. So in celebration of the Famous Five, here’s Anne meeting George for the first time. When Anne awoke she couldn’t at first think where she was. She lay in her little bed and looked up at the slanting ceiling, and at the red roses that nodded at the open window – and suddenly remembered all in a rush where she was! “I’m at Kirrin Bay- and it’s the holidays.” she said to herself, and screwed up her legs with joy. Then she looked across at the other bed. In it lay the figure of another child, curled up under the bed-clothes. Anne could just see the top of a curly head, and that was all. When the figure stirred a little, Anne spoke. The child in the opposite bed sat up and looked across at Anne. She had very short curly hair, almost as short as a boy’s. Her face was burnt a dark-brown with the sun, and her very blue eyes looked as bright as forget-me-nots in her face. But her mouth was rather sulky, and she had a frown like her father’s. The two girls stared at one another for a moment. “Don’t you simply hate being a girl?” asked George.